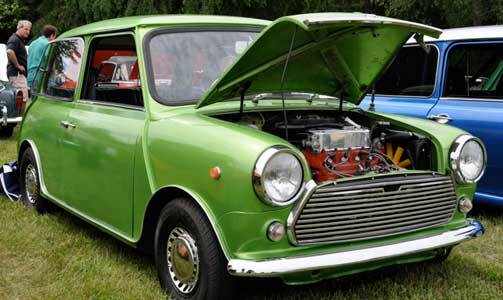 Cars & Motorcycles of England — Delaware Valley Triumphs, LTD. While at the car show, enjoy the gardens, museum, live music, food and a craft beer tasting at the Ales and Petals event hosted by The Friends of Hope Lodge. 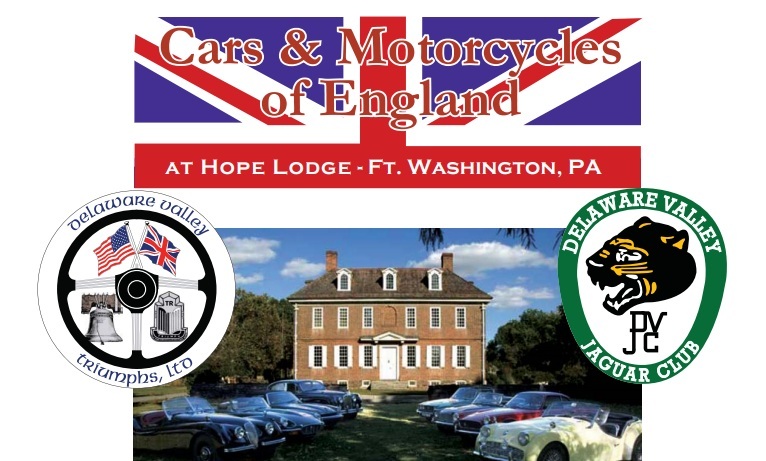 Check the Hope Lodge web site, www.historichopelodge.org under "Events"
Cars and Motorcycles of England returns again to the historic Hope Lodge in 2019, featuring an all-British marque judged motorcar and motorcycle concours, and a nationally sanctioned Jaguar Concours d'Elegance. The combined show fields represent one of the largest British motoring shows on the East Coast with over 250 cars and motorcycles participating in each of the last four years. The show field opens at 8:30 AM and Judging begins at 10:00 AM. Prizes will be awarded beginning at 2:30PM. Delaware Valley Triumphs sponsors the All-British show. In 2018 our show field included the following marques: Aston Martin, Austin, Austin Healey, Bentley, Daimler, Innocenti, Jaguar, Lancester, Lotus, MG, Mini, Morgan, Peerless, Rolls Royce, Rover, Sunbeam, and, of course, Triumph. Motorcycles included BSA, Norton, and Triumph. In 2019 there will be 40 award classes for automobiles and four for motorcycles. Special awards will also be given for "Diamond in the Rough", the "Best of Show - Participants' Choice" and the "Best of Show - Judge's Choice". Follow the show on Facebook at "Cars and Motorcycles of England"
Note to Jaguar owners: We welcome Jaguars in the all-British show, but if you want to participate in the national Concours d'Elegance, please register with the Delaware Valley Jaguar Club Website. Registration is $20 per vehicle before end of day on May 24, 2019, and $25 from May 25 onward. Motorcycle Registration is $15. The Delaware Valley Jaguar Club hosts the nationally sanctioned Concour d'Elegance. This is an opportunity to compete with and view some of the finest Jaguars on the East Coast, in both Champion and Driven Divisions. The 2017 show had nearly 100 entries, and included cars from Pennsylvania, Ohio, Virginia, Maryland, Washington D.C. and North Carolina. Please visit the DVJC Club Website for more information on registering for the Concours d'Elegance.